Quality, customer focus and timely delivery have been the hallmarks for Dubai-based Kimoha Entrepreneurs ever since its establishmentin 1988. 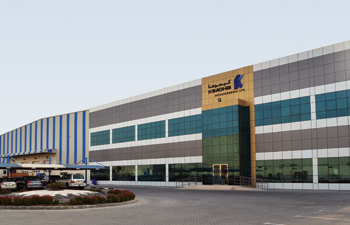 Operating out of Jebel Ali Free Zone, Kimoha is a pioneer in manufacturing and marketing plain and printed product labels for over 50 industries, other paper products, barcode printers and inkjet media products. Its solutions are shipped to the GCC region as well as to markets in the Middle East, Asia, Europe and Africa. “Exports have increased by more than 35 per cent over the past four years, showing increasing growth opportunities the region offers,” said managing director Vinesh Bhimani. Kimoha caters directly to the larger customers while the smaller end-users are catered to by local resellers. 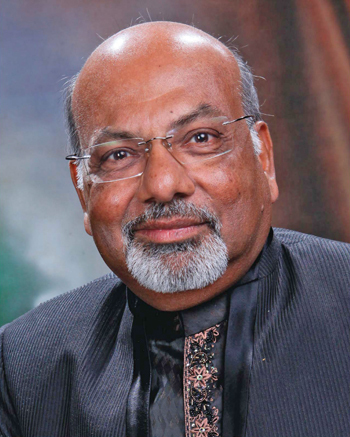 “We have an efficient supply chain arrangement to reach a large number of small customers,” said Bhimani. “Printed product labels for almost all industries and thermal rolls are our two main products. Being closer to customers has given the company an edge over other majors in the industry, he says. 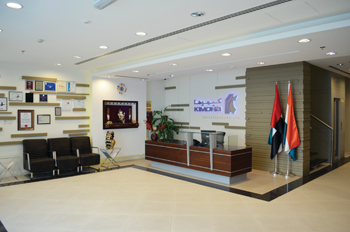 A member of the Al Ansari group of companies headquartered in Muscat, Oman, Kimoha is an ISO 9001 – 2008 certified company that ranked 27th in the Dubai SME Top 100 list in 2013. It is also a recipient of the ‘Green Building Design Award’ from Green Middle East Awards for Environmental Excellence 2012. In 2013 the company implemented a state-of-the-art waste collection management project to support Dubai’s green building environment policy. It has also received the CSR Label certification in 2013 and 2014 from the Dubai Chamber of Commerce. Paper with its wide and interesting applications is what motivated Kimoha’s promoters to launch their business as a paper converter. It was about the time when fax rolls were in great demand, and telex rolls, though gradually waning, still remained the only acceptable legal document, especially in the banking and government sectors. 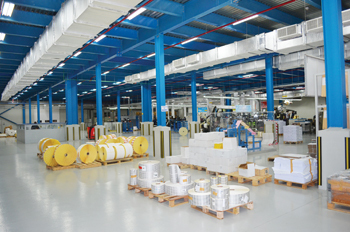 Slowly the construction and retail sectors started playing a major role, which meant there had to be greater investment in state-of-the-art equipment for producing paper products for them. “By then we had made our presence felt,” recalls Bhimani. “We went on to specialise in custom-made labels with multi-colour printing and value-added services such as holographic and security features that were suitable for various industrial and consumer packaging applications. Leading FMCG companies in the region came to us regularly with their requirements. An enviable customer base in the UAE and rest of the Gulf was developed and growth in the retail segment motivated the company to augment its solutions-providing ability. Kimoha entered the auto-identification activity, garnering for itself agreements to market a wide range of bar code printers, scanners and other related POS equipment. “Having made a name for itself in the region, a natural progression would be to go global. And that’s precisely what Kimoha did. Over the past few years it accumulated expertise gained from manufacturing and meeting the baggage tag and boarding pass requirements of home-grown airlines. Today it is a global player to reckon with, catering to several airlines around the world. Over two decades of continuous growth and development has seen the company’s manpower grow from two to 300. The company moved into its current facility in 2011 and the building received the Leed Gold Certification from USGBC (United States Green Building Council). Kimoha has always kept a close eye on the market and its requirements and has regularly come up with new products and solutions. This is actually a continuous process, says Bhimani. “We are always on the look out to offer new products and solutions to current and prospective customers and will continue to invest,” he added.